It is the fate of most former Prime Ministers to see their stock fall once they leave office. This is not always the case. Winston Churchill and Margaret Thatcher are two whose stock has increased. Harold Macmillan’s stock remained pretty much the same, despite the efforts of Peter Cook. Sir Alec Douglas-Home seems to have had no stock anyway. For the rest, the rule seems to apply. It is only staunch ideologues who look back with fondness on the Attlee ministry, a time of austerity and rationing. The ideologues have to be even stauncher with regard to the 1970s premierships of Harold Wilson and James Callaghan, a time when the consent of union thugs was necessary to govern the country. Heath failed to stand up to the unions properly, Major was crippled by infighting over Europe, ejection from the Exchange Rate Mechanism, an electorate tired of Conservative government, and some disgraceful MPs. Blair was tarnished by his well-meant toppling of a fascist dictator. Brown was justifiably tarnished by fiscal incompetence and an appalling leadership style. Which all brings me to David Cameron. The former Right Honourable Member for Witney has become the latest target of ire from the Remainer Party for the ‘crime’ of calling the EU referendum in the first place. He is also blamed for quitting the day the result was announced, in effect, so the critics say, leaving the country in the lurch. Like most, if not all, Remainer rhetoric, this view is irrational and stupid. A large part of the electorate of this country had been uneasy about membership of the EU for over a decade. As a community of nations dedicated to mutual assistance as an extension of the USA’s Marshall Plan, the EEC made sense. However, the fall of the Berlin Wall accelerated the drive by Germany and France for ‘ever closer union’. The EEC changed its name and transmogrified into a considerably more political entity. The 20th century had witnessed the catastrophic failure of politics and politicians at the heart of every major European country, apart from the UK, if Ireland is excepted. The EU is part of the project to exclude voters and politicians from policy, leaving the work to technocrats. This EU project did not sit well with a significant proportion of the British public in the late 1990s. Public calls for a referendum were ignored, and governments depended the possibility of a rising pro-EU generation to supplant an ageing generation of Eurosceptics. The consequence was that Parliament no longer represented the people on this issue such that a whole new political party that did was created. Its media-friendly leader was able to sail over the waves of ridicule and hostility from the liberals. Gordon Brown avoided the main signing ceremony for the Treaty of Lisbon with its article 50 and instead sneaked in like a thief in the night to add his signature away from the politically-damaging publicity. The public desire for a referendum was an issue that would not go away, and there was substantial support for one. Private polling must have indicated to the Conservatives the electoral damage that refusing to hold a referendum would cause. David Cameron duly made the pledge in 2013. By May 2014 UKIP became the first party other than Labour or Conservative to win a national election for a century when it topped the polls in the European Parliament elections. Had Cameron not offered the referendum, Nigel Farage might have been elected as an MP in a hung Parliament. Cameron is not to blame for facing electoral reality. That’s politics. The referendum was held at the last possible moment in the hope that a pro-EU demographic shift had taken place as older voters died off. Had the poll been held even five years earlier, the Leave vote would have been higher. It had been put off by successive governments because they knew that the UK would have voted to leave. David Cameron is also not to blame for quitting even though he said he would not do so. He could not say otherwise or people might have voted Leave just to force him out of office. He had hoped that the shine of the surprise 2015 election victory would be enough for Remain to win and for his new mandate to drive meaningful reform in the EU. This was not to be on both counts. It is an unwritten rule in politics that when major government policy is changed by adverse events related to that policy, the incumbents must resign and a new government formed. The poor man was on the verge of tears when he announced his resignation when Leave won. 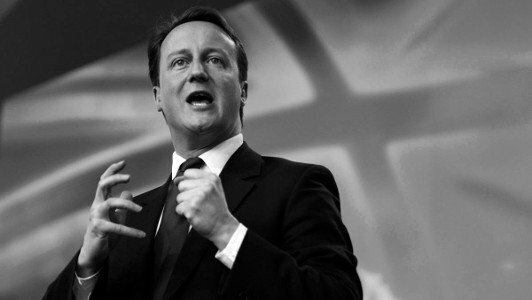 David Cameron called the referendum based on the objective political reality. The fantasy that the ordinary voter is too stupid to make a major decision about the future of the country went on for far too long. If anyone is to blame for the Leave victory, it has to be the EU itself, which demonstrated that its policies and governance are alien to these shores and our common values. We did not desire rule by technocrats and when we want reform, those in power should take notice, as they do at national elections. The EU did not notice, which is why its power over the UK should, we hope, be gradually reduced to the point that we will eventually take back control.